Did you ever wonder while meandering among the hills and valleys of our course what the area was like a hundred years ago? 200 years ago? Hey I don’t listen to I Tunes when I run so I have to think about something right? Selden used to be called Westfield back in the 1800’s. In 1857 there was one school, one store and one church. In 1854 one Judge Henry Selden from NYC said if the town would take on his name he would do great things for them. So it did and I think they are still waiting for something great to happen!! Selden’s claim to fame was that he represented Susan B. Anthony in a 1873 litigation regarding her right to vote. She voted…he lost the case….and Susan went to jail. Daniel Roe was one of Selden’s first famous citizens. He was a Revolutionary War captain whose family has a cemetery on Janice Lane which we run past just before turning into the parking lot to finish our 10K. The cemetery is in disrepair and is between two homes which are behind the Westfield Shopping Center where we gather to start. Although Selden now has over 20,000 residents back in the 1930’s they had a mere 131 residents. Most lived along Middle Country Road and made their living by farming. 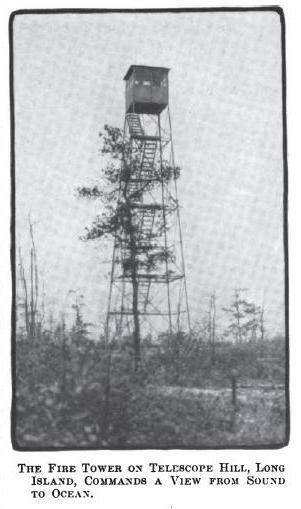 A famous landmark at the time was the forest ranger tower that was built in 1918 on “telescope hill”. It was selected as the first of several towers built during that time due to it’s elevation to help spot forest fires quickly. It’s elevation was 300′ above sea level and the tower itself added 75′. A fire spotter could see Connecticut to the north and the Atlantic Ocean to the south and if a fire was spotted from shore to shore could notify the NY State Conservation Dept’s Park Ranger to sound the alarm. The tower itself had an open metal staircase. It was first manned by Al Lucas of Selden in 1919 and he was paid $90.20 a month. He was followed by Frank Forsyth who was the spotter from 1920 until 1948. He was compensated $100 to $172.30 by the time he tired of climbing all those stairs!! He reported 67 fires from his perch in 1934. There were three more spotters paid to stand watch until the tower was deemed obsolete in 1960 and was torn down due to suburban expansion. A radio tower now sits near that spot as we climb the hills of Adirondack Drive and reach the summit at 334′ above sea level.Radio station WALK FM broadcasts their signal from this tower. It is the second highest point on LI behind Jaynes Hill in West Hills which is 401′ above sea level. That area is part of the Harbor Hill Moraine which meets up with the Ronkonkoma Moraine in the center of our Long Island. In 1897 a stagecoach stop was opened for travelers who took the LIRR and wanted to travel north. It was located in Selden at about the spot across the street from the Westfield Shopping Center. It was called The Wheelman’s Rest Hotel. 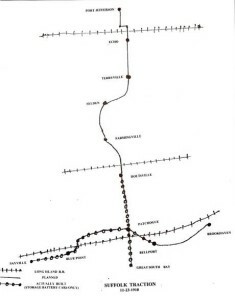 Soon after It was proposed by both the Towns of Port Jefferson and Patchogue to build a bicycle path from both the north and south sides of Wheelmans Rest. The path was very popular in it’s day and hosted many cycling events as bicycling became more and more popular. The Port Jeff Echo newspaper wrote in 1896 “with a good path built it will bring hundreds to our village every week….cyclists from the south side will frequently visit us and the CT shore and our hotels and business people will reap a benefit from these added transient travelers”. 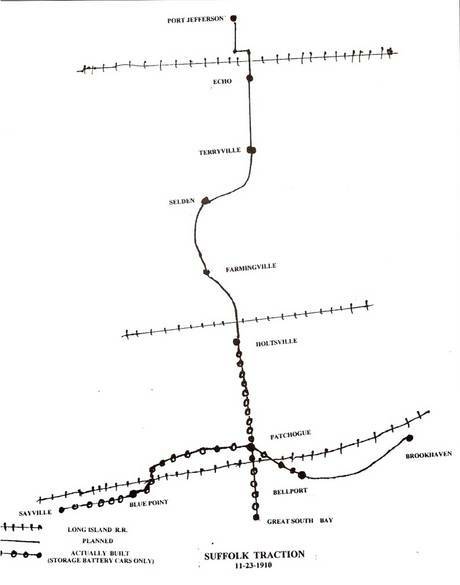 A trolley line was even proposed to run parallel to the bike path but never came to be. In 1932 the NY Times reported that “the Town of Brookhaven Board decided to close a 70′ portion of the old obscured bike path. The remainder of the path remains but is never used except by Boy Scouts out on hikes following the path over Bald Hill as a short cut to the north shore.”The path was eventually paved over but the terrain is still travelled except for a break just off of Ormond Drive a few hundred feet east of Adirondack and Ormond where our Callaghan Hill begins. From Patchogue ,where the path originates as Old Medford Rd to where it turns into South Bicycle Path as you enter Farmingville, the paved road ends at a cul de sac after reaching Ormond Drive. You pick up the path again as North Bicycle Path as you exit the Westfield Shopping Center and head directly north. The path terminates when it reaches Route 112 at the Port Plaza shopping center. Overall the path runs 9.7 miles allowing for a connection between the two paths via Janice Lane and Blue Point Road to get to the north section. Wouldn’t it be grand to walk/run/cycle on the route our predecessors took over one hundred years ago!! ?